Brandtjen & Kluge appoints new Director of Sales – Latin America and Senior Advisor Coating Solutions. 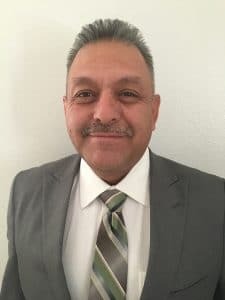 St. Croix Falls, WI – Brandtjen & Kluge (Kluge) is proud to announce and welcome Albert “Al” Nuño as Director of Sales for Latin America and Senior Advisor Coating Solutions. Kluge’s recent acquisition of the UV Coating product lines of Olec, Dorn and FMA will provide a platform for Nuño to put his extensive knowledge of the UV industry to work. Nuño’s process and application experience will prove to be valuable to clients as they evaluate UV coating systems and applications, and when they integrate them into their production workflow. Al is fluent in speaking Spanish allowing him to communicate directly with the markets in Mexico, Central and South America. Adding value since 1919, Brandtjen and Kluge is a fourth generation family owned manufacturer of specialty print finishing equipment. For over 90 years the brand name “Kluge” has represented innovation, technical leadership, productivity and rugged durability to companies worldwide. Headquartered in St. Croix Falls, Wisconsin, USA, Brandtjen and Kluge markets equipment through a direct sales force in the United States and Canada and has a well-established network of industry-qualified distributors to provide global coverage. For more information, visit us at www.kluge.biz.